We stayed at NH Barcelona Centro and thought it was centrally located, walkable to Las Ramblas and was clean, quiet and comfortable for our needs. Some friends of ours stayed at the W hotel and while they really enjoyed the hotel itself, they felt it was a little far from the attractions. We found ourselves at Placa Reial several times. There are descent restaurants in this placa with live music and dancing. Note that the lamp posts were designed by Gaudi. We spent NYE evening at La Crema Canela and thoroughly enjoyed it. It’s small and quaint and located just off Placa Real. They even provided us some grapes to-go for their midnight tradition of stuffing your mouth with grapes at the strike of midnight. Also, one of our most memorable meals came from Pelai. We did the 3 course menu for less than 30 euro and loved everything we ordered. We also ordered from the cheese cart and was not disappointed. Our favorite surprise was the ice cream with pop rocks in the dessert. It is a little off Las Ramblas at Tallers, 62, 08001 Barcelona, Spain. Enter through the adjacent hotel. Although we didn’t try any, there is an impressive listing of Michelin Star restaurants in Barcelona for those who are keen to explore fine dining experiences. Tapas restaurants make for great lunches and don’t forget to try the Sangria! For the well versed pallet, try some Absinthe in one of the bars. It tastes a lot like Greece’s famous Ouzo. We opted to take advantage of the hop-on, hop-off bus because Barcelona is so spread out and the metro system not as efficient as some other major cities. The bus allowed us to see a lot in a more convenient way. 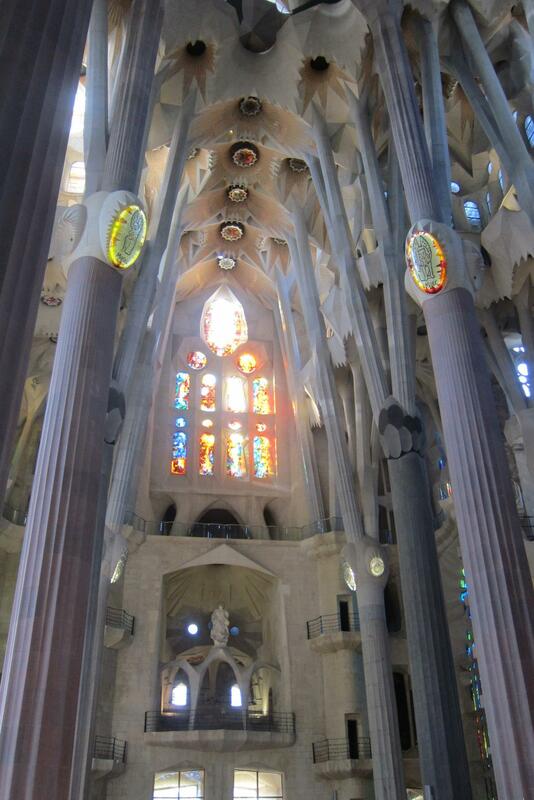 La Segrada Familia – Do NOT miss this. The line that wraps around the building goes fairly quickly and it is WORTH going inside. The first time I visited, the inside was mostly closed off but when I went back in 2012, the interior was just about finished and it does NOT disappoint. The exterior is just as impressive (though not completed, est 2034). This is my husband and I’s #1 favorite church in Europe that we have seen. The audio is worth listening to. Bring a camera as you’re allowed to take! If you’re a fan of architecture, don’t miss Gaudi’s work – La Pedrera or Casa Mila (interior tours offered) on the Illa de la Discordia (Block of Discourt). 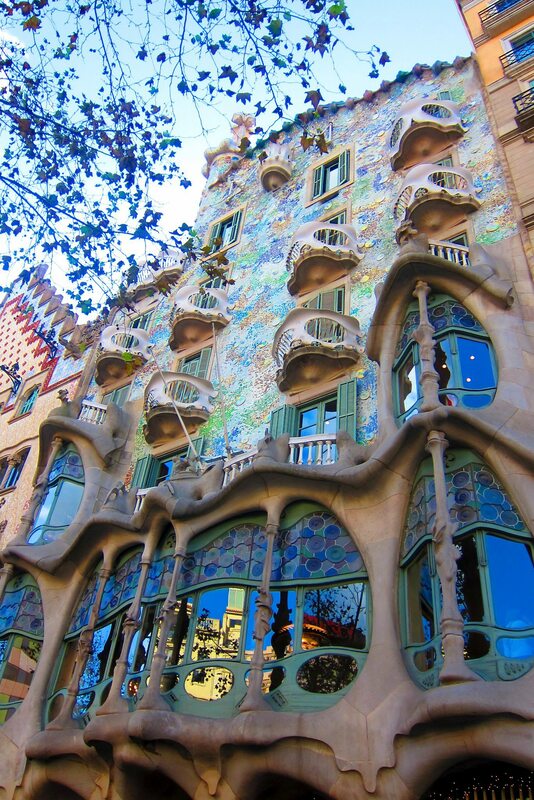 There are several buildings with interesting architecture on this street, including Casa Lleo-Morera (Passeig de Gracia 35), Casa Mulleras (Passeig de Gracia 37), Casa Amatller (Passeig de Gracia 41) and Casa Batllo (Passeig de Gracia 43). Picasso Museum for us was underwhelming. A lot of the pieces in this museum is from his early works which is in a different style than what we know of Picasso. I wanted to see more of his famous pieces that are located elsewhere. It’s also a rather small museum so definitely not a waste of time. Just go into it with an open mind. Mercat de la Boqueria is a fun/interesting place to check out even if you don’t buy anything. There is everything from seafood to fresh and dried fruit that you can purchase. There are also some bar stands where you can sit and have a drink or eat some tapas snacks. This is located about midway down the famous Las Ramblas pedestrian street. 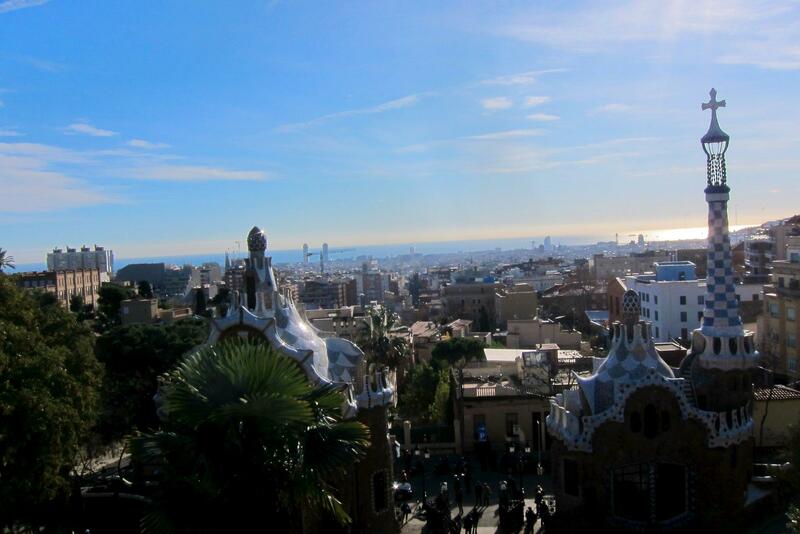 For Gaudi enthusiasts, check out Park Guell. It’s very unique and the views are great. Again, the architecture and design is amazing and looks like it is fresh out of Alice and Wonderland. This is easily accessed from the hop-on, hop-off bus with a short walk up hill to the park. The beach is the perfect way to relax the feet after all the walking that you do in Barcelona. I took advantage of a $5 foot massage by one of the MANY ladies offering and it was the best $5 I spent….just be careful if they use baby oil on your legs as the sun is not so forgiving. 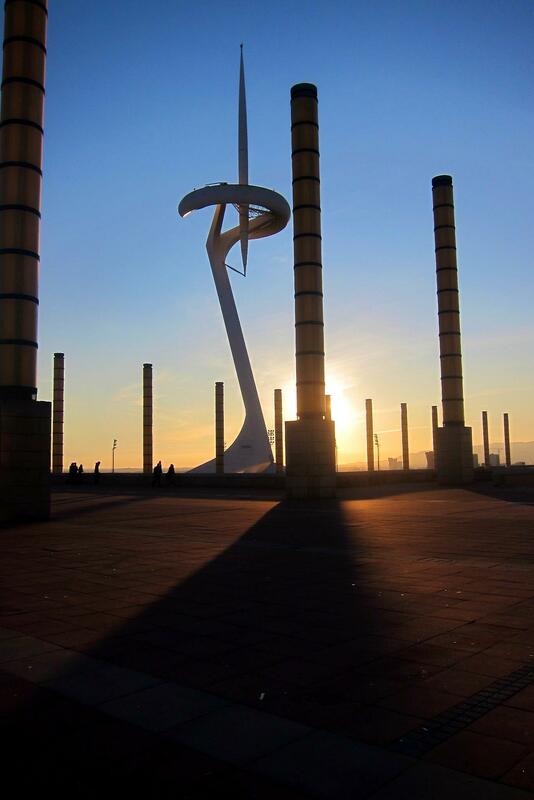 We checked out the Barcelona Olympic grounds. There’s currently a museum (that was closed) but if you’re an Olympic enthusiast, we thought this was nice to see, albeit a little difficult to get to. You can take a bus but it doesn’t come and go as often as we had hoped. This is not a stop on the hop-on, hop-off bus. 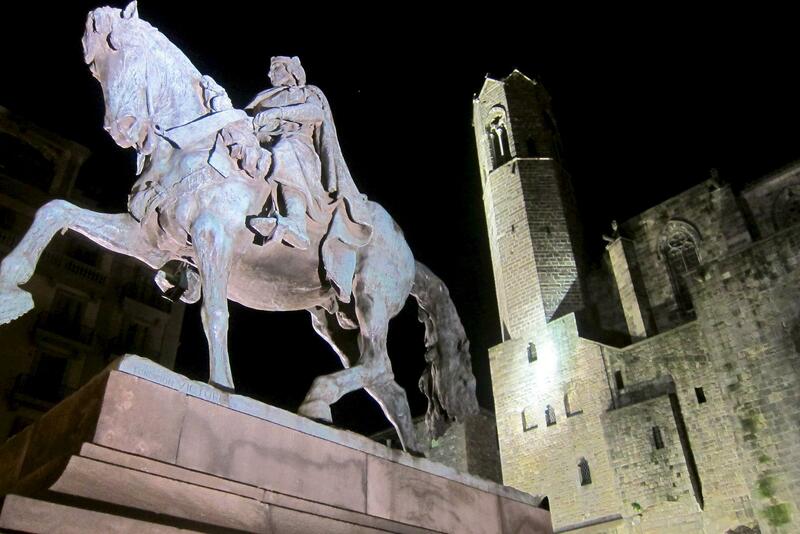 We walked down to the Cathedral (close to the port) of Ferdinand and Isabella through Rick Steve’s walking tour. There is some interesting history here as this is where Christopher Columbus brought back slaves and spices to the King and Queen at this port and cathedral. This is in the Gothic quarter which also has its own unique architecture and is worth walking around. In the Placa Reial, we found a place called Tarantos to watch some Flamenco dancing. I was able to convince my husband to go because the show was only 30 minutes and you could purchase drinks. The dancing was impressive. Buy tickets earlier in the day and arrive early for a front row seat. It’s worth it! 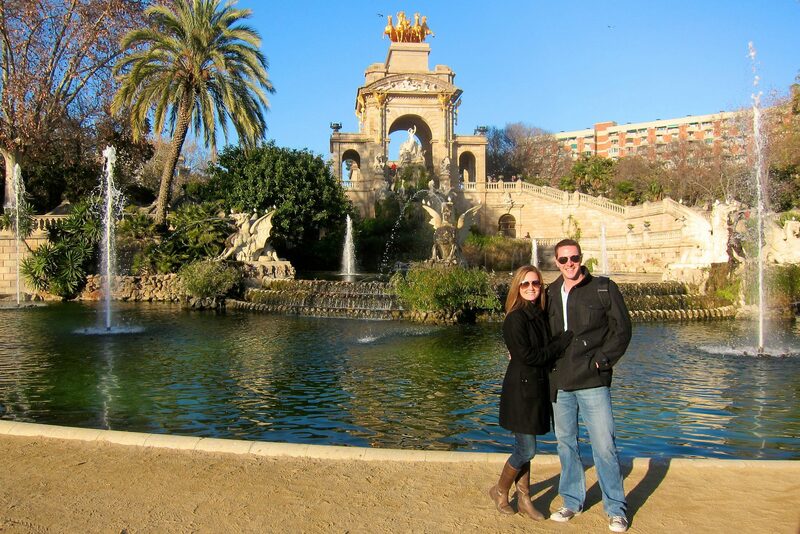 Peruse through the Parc de la Ciutadella for an awesome photo op. It’s just across from the Arc de Triomf. This is also a stop on the hop-on, hop-off bus. This entry was posted in Barcelona, Travel, Uncategorized and tagged Barcelona, casa mila, Europe, ferdinand, Flamenco, Gaudi, Gothic quarter, guell, Illa de la Discordia, isabella, La Pedrera, La Segrada Familia, Las Ramblas, Mercat de la Boqueria, museum, Olympics, Parc de la Ciutadella, park guell, picasso, Placa Reial, Spain, tapas, travel. Bookmark the permalink.